We’re looking into two of our favourite W’s – the what and why – in our latest blog to inspire you to think outside the box when creating content marketing strategy for 2018. Whatever the channel, it’s all about curating timely, well thought-out and attention-grabbing stories that tick all the boxes for the editor or online channel you’re writing for. You might be creating content to get earned media (public relations), paid media advertising (an advertorial maybe) or for your owned platforms (website, social media). Whatever your goal, you need to know why you’re creating content. We’ve attended a number of seminars since September including the Auckland-based Social Media Conference NZ and Destination Queenstown’s (DQ) Queenstown Week Insights Programme. Huge thanks to DQ for bringing international speakers to Queenstown for an exciting week of inspirational presentations on how businesses can ‘talk’ to the Australian market. Think beyond your product and tell your story. So we’ve compiled some top tips to help you on your way. In short, it’s a description of a connected series of events. 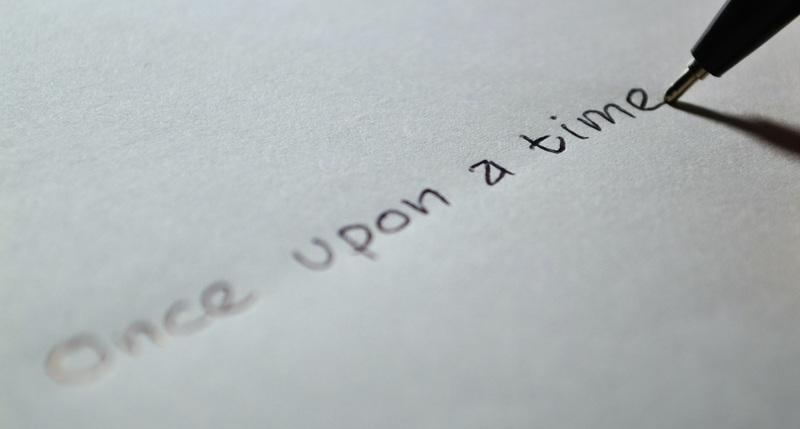 Storytelling’s an age-old craft, enabling people and businesses to transform perceptions and share experiences. We’re ALL human, and stories help show you’re human. New Zealand Story’s Marketing Manager Gary O’Neil shared this in a recent presentation – ‘stories are up to 22 times more memorable than facts’*. So, let’s think how you can turn your (potentially dry) product or company fact sheet into a series of stories. Can these facts be broken down? Is there a news hook or angle about your history, a ‘day in your life’ or the one thing that makes you different to any comparative business? What’s your USP’s? Our question to you is how are you planning on capturing attention and what is your Kiwi story? Are you a 25-year-old tourism business which started off as a one-man-band or the oldest winery in Central Otago with stories to tell about your land, people and wine? In today’s fragmented media landscape, journalists are being asked to produce double the content but with less resources. As a PR agency, we’re producing increasing numbers of editorial pieces for clients (in addition to traditional media releases) so we can pitch to journalists with content they can pick up and run ‘as is’. For this to work, you need to know who you’re writing for (what stories have they previously covered? ), what’s of interest to them and their readers, and have a basic understanding of what’s ‘media-worthy’. If your strategy is to create your own editorial content, you’ll need to ensure you’re curating and delivering high quality pieces, written in a journalistic-style and voice to suit your desired publication. Maybe think about hiring a writer for your team or outsourcing to a PR or content agency. An angle is the specific emphasis you choose for a story that you’ll use as your pitch to media. We’ve compiled a list of ideas to help you ‘dig deep’ so you can ‘wow and wonder’ in interesting and emotional (adds the human element) ways in 2018.
Who are your people? Locals or internationals? Is there a Kiwi story to be told? Be human – where did you begin? What kind of business are you? What do you believe in? What’s your mission and values? How do you think, envision the future, and where do you want to be? Think about growth and aspirations — what’s in the pipeline for your company directors or front of house teams? Is this an opportunity to profile your people? What trending topics can you relate to (think BuzzFeed and Twitter). Does your team have the ability and resources to be reactive? Do you have an upcoming anniversary you can leverage? Do you recognise employees for their longevity? Think about how you work with your community. Does your company donate time/people to community or charity projects? What emotions are behind this and why do you do it? Something new to say or offer — don’t miss these opportunities. What memories do you provide for your customers? Could this create a story in itself? While brainstorming these content ideas, you should apply Lauren Quaintance’s (Storyation co-founder) ‘so what’ test. “Great stories pass the ‘so what test,” she said at a recent presentation on storytelling. “Journalists want quirky or unique stories that generate talkability or ‘water-cooler’ conversation. Ideas that will grab attention in the social feed. It’s our business to communicate client messages accurately to their audiences through relevant channels. Do you need help telling your story? Get in touch. *Jennifer Aaker, Social Psychologist. Professor of Marketing at Stanford University Graduate School of Business. We all do it. The days when your inbox is so overloaded you get the greatest satisfaction from a mass ‘delete’. Or you fervently unsubscribe to all your sign ups at the start of the New Year – it’s so cleansing, right? But then something catches your eye when you’re trolling the interweb. You read about some cool project, a company you love, a product that’s a ‘must-have’ and before you know it, in a FOMO flurry, you’ve hit ‘subscribe’ or filled in that form. Email marketing continues to be a vital communications channel for all businesses in the days when inbox competition for attention from email subscribers remains fierce. There’s plenty of newsletters that don’t hit the mark, that’s for sure. But every now and then, we get a newsletter that’s so good, not only do we read it, but we click it, share it, and recommend it to our friends. SMB’s are stepping up their game in the email marketing world. Focus on email marketing should be in your content marketing strategy for 2018 because it’s such an important strand in your multi-layered business growth strategy. Think about it. You’ve got a potential or existing client who has already engaged with you to the extent that you’ve got their contact details. They’re willing for you to send them stuff they want or need to know, or want or need to buy (you get the drift). So don’t stuff it up. Planning and good quality content is KEY to success. You want this to be a long-term relationship not a quick fling. Take ‘How to Dad’. He’s built a trusted brand by saying it like it is, with a good dose of Kiwi humour. He’s real. He’s so real and trusted a local electricity company has brought him on board as their brand ambassador to peddle a ‘good cause’. So, back to your ‘how to’ newsletter. Keep it real. Don’t be one of those automated email newsletters that just give us another morning task – deleting or marking as read (not read). Exceptional newsletters or email marketing campaigns need to be cleverly written to attract attention. They should be personalised, filled with interesting graphics or images, and designed for mobile and desktop. Above all, newsletters must contain a meaningful call-to-action. Every message must have a point to it. And we do that how? Try awesome subject lines and preview text. They’re always short and punchy, and they’re consistent and logical. BuzzFeed does this exceptionally well – they know their market. Keep it simple. If you’ve got a deal or promo on the table, give it a brief initial description paired with a very clear call-to-action. The ‘skimmer’ subscribers can get the basics in a matter of seconds, while those who want to learn more are treated to a more detailed (still pleasingly simple), step-by-step explanation of how the deal works. Uber is a master at this. Be consistent with your branding. Look at your website, social media photos, your app or other parts of your visual branding, and make sure your newsletter’s singing from that same songsheet. All communications and marketing assets should tell your brand’s story, and it makes your newsletter stand out from the inbox crowd. There’s a few ways to measure what’s working and what’s not. Use your analytics, look at clicks etc. For relatively straightforward newsletter templates and measurable campaigns use something like Mailchimp to see how you’re going. Try sending out newsletters on different days of the week, different times, then look at which gets the most opens or clicks. Which parts of your newsletter are being read? Ask for feedback on content or timing – you can easily incentivise that. Keep changing and evolving and most of all, keep it real. Regular, consistent and relevant communication with current clients is a crucial tool. Know the importance but stuck for words? Let us help, we’re wordsmiths after all. Summer is officially here (hurrah!). 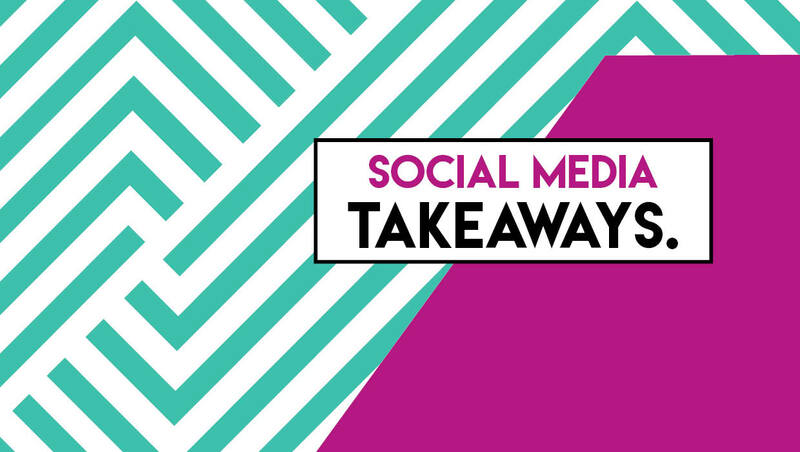 With only 2.5 weeks until Christmas we’ve compiled our final social media takeaway blog for 2017. Here’s a recap of seven almighty social media updates and trends to keep in mind for planning and implementation of your social and PR strategy in 2018. Did we need to remind you? According to a recent Social Media Today infographic, video is expected to account for more than 80% of all consumer internet traffic by 2021. Having the ability to create video content across your platforms remains KEY in your strategy. Grab your iPhone, a tripod and get practising with family and friends this silly season. Uploading and sending high res images via email is a thing of a past thanks to the latest Facebook Messenger update. Communities and businesses can now send and receive images in 4K resolution (up to 4,096 x 4,096 pixels per image). The Instagram business community has grown to 25 million. If you’re a Queenstown business and you’re not already on this platform, it’s time to discover, connect and determine whether this is for you. Still not quite sure how to reach your customers this Christmas? Relax. Our beloved Instagram is spreading some festive cheer to help you shine bright. Click here to succeed. Never underestimate ephemeral content marketing. Yes, it’s short-lived content (shows and disappears in seconds or 24-hours) however it’s a cost-effective and authentic way to connect with your fans, followers or audiences. Humanise your brand by sharing your behind-the-scenes moments, show a real-time snippet of your CEO collecting your latest tourism award or showcase your media coverage and products in engaging ways. Whatever your content focus or strategy, it’s one to add to your team’s daily schedule. Along with the extended 280-character limit (do you like it? ), Twitter’s Tweetstorm feature is in testing, enabling users to extend their tweets by adding additional context. Here’s how this might look. To be honest, we have the same reservations as TechCrunch. Could this feature result in never-ending ranting and trolling from critics – potentially leading to additional ‘damage control’ from crisis management teams across the world? It’s top of mind and we’re looking forward to watching chatbots evolve for SMB’s next year. Adding the ‘human’ to these artificial intelligence ‘bots’ remains key and businesses need to know there’s not a one-size-fits-all solution. Your customer’s journey is key. Yes, paid social is important to reach new audiences and convert your customers, however organic social is key for nurturing engagement, relationships and interactions. Sprout Social looks into the importance of ‘sprouting’ engagement on your channels to help your company grow. Looking for some ‘social’ holiday reading? Keen for Southern PR to help you through this process or point you in the best direction? Get in touch, we’re happy to talk it through. Spring has most certainly sprung and it’s been a busy month all round, not just social media. You’ve got enough to worry about with the general election just happened, not to mention which way dear Winston is going to swing. 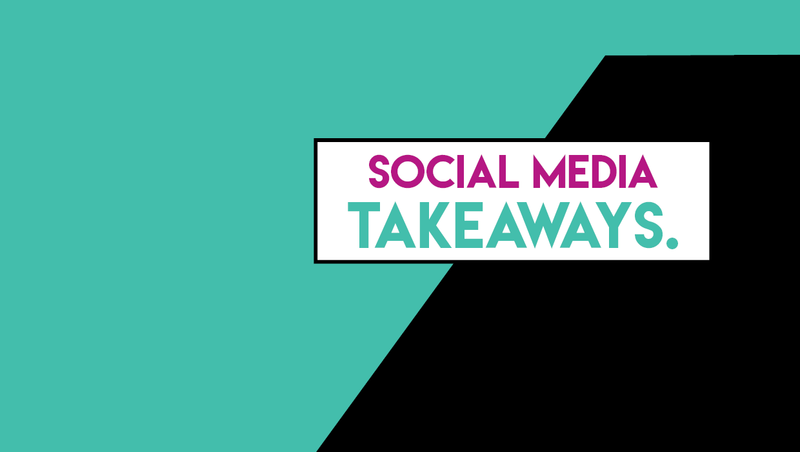 Because last month’s social media news and updates are possibly the last thing on your mind, we’ve done the hard yards and compiled a list of ‘go-to’ updates, big and small. Instagrammers with a public profile can now manage who comments and sees comments on posts. Instagram is aiming to make the platform a friendly and welcoming place where everyone can get along in its social community. All changes come with a new heart-shaped sticker and the #KindComments hashtag. Instagram filters have been readily available on video and images captured first and then posted, but now its face filters are available on live video. This means you can customise your live videos even further and even target those audiences that have four legs and a tail [insert puppy dog filter here]. Twitter is testing extending its character count from 140 to 280 to persuade more users to use the platform. Twitter says the reason is to give you more characters to express yourself. Is my name Donald Trump, I hear you asking? What are your thoughts on the extension? Less is more, or more is …..too much? Facebook is not only donating economically to the relief efforts of Puerto Rico after Hurricane Maria, it’s also donating its employees! Facebook employees are helping restore telecommunications so people can get in touch with their loved ones and rescue workers can further coordinate relief efforts. Thanks Facebook! For the first time in history, Facebook has broken into the top 10 of the world’s most valuable brands slotting into eighth position right next to Toyota and Mercedes Benz. Interestingly, half the brands at the top of the Best Global Brands 2017 list are in the technology sector and have mastered creating experiences through technology that reinforce the value of the brand itself. Snapchat’s latest filter is yet another step further into augmented or virtual reality. Its new ‘Sky Filters’ give you the ability paint with all the colours of the wind…or, filters. Imagine being able to change the scenery to match your mood with virtual weather, sunsets, starry skies, rainbows and so on. Well, now you can! This was released on Snapchat’s sixth birthday – Happy Birthday! It’s no surprise that the future is technology and coding is a skill being recognised by major technology brands Google and Snapchat. Called #MyFutureMe, the contest is to create and code an official Snap lens and accompany the entry with a 100-word statement about the ‘future you envision’. As with any great business idea, having a slick and well-rounded elevator pitch is key to success in this fast-paced and busy world. Five finalists will be sent to the TEDWomen conference in November to work with Google and Snap engineers. Interestingly, Snapchat will only verify contestants ages after finalists are selected.